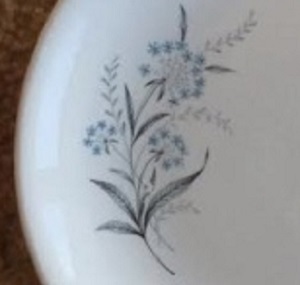 Maybe Janice can give us a pattern name for the middle plate .... it looks familiar. In the meantime I will add it to the No Names Gallery. We have the Nursery Novelties and the bottom one which escapes me atm. 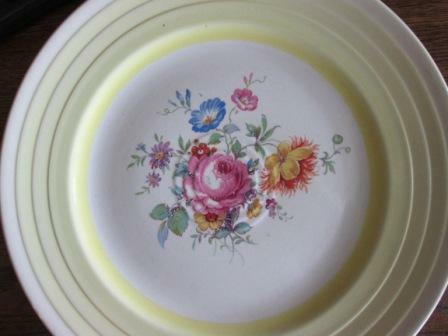 The middle pattern- I thought it was this one but unsure - I don't think I have seen that one before. You'll see the last one is an Ambrico plate. Are those patterns usually to be found? It is now easy to see that neither are a match for Jim's. 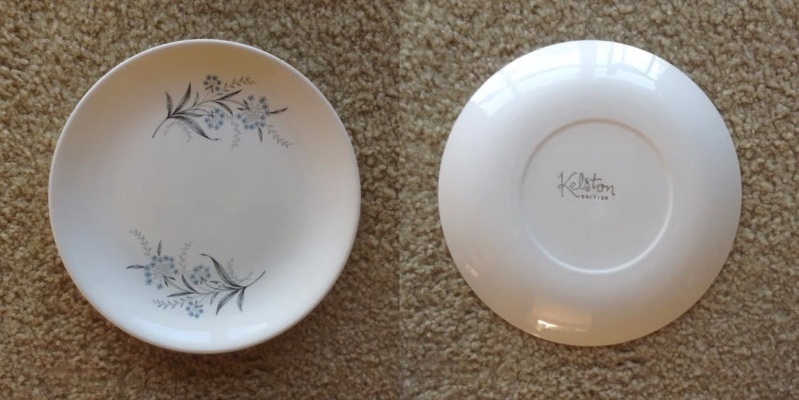 The Kelston backstamp is from an early time like the other two patterns here...... late 1950's - early 1960's. I should have said Jim's is a B&B, so it will likely have a smaller version of the transfer than a dinner plate. Also, Portage has a couple of cups with patterns like this but I don't have a record of them to hand. They are an early version of the tulip, lightweight with a bit more handle connection at the top, the style that preceded the ones with impressed the New Zealand mark, so I'm guessing ca1960. 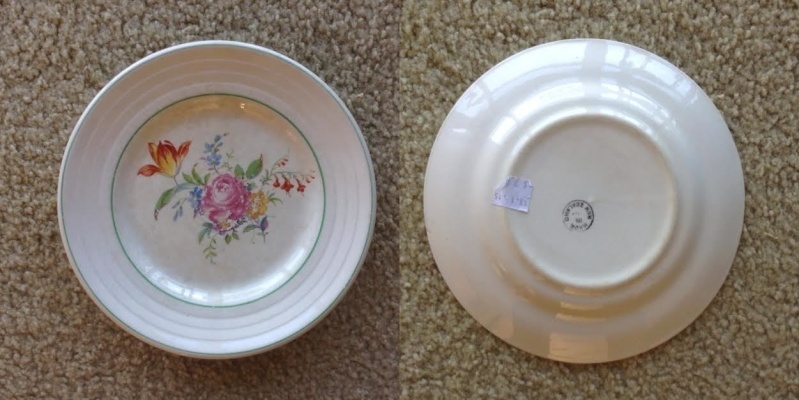 I think they look pretty good, like high-quality china. Jeremy Ashford wrote: I should have said Jim's is a B&B, so it will likely have a smaller version of the transfer than a dinner plate. That is often the case Jeremy, but not always and sometimes I don't recognise a pattern when it only has a piece of the pattern on sides and saucers. If I trip over an example I will put it here for you. Jeremy I have this one that is a very similar pattern on a Paris 25cmd so thats 2. I still can't come up with a name for that pattern ...... some things just hound my brain and keep me awake at night. Hopefully tonight the name with reveal itself !! !! 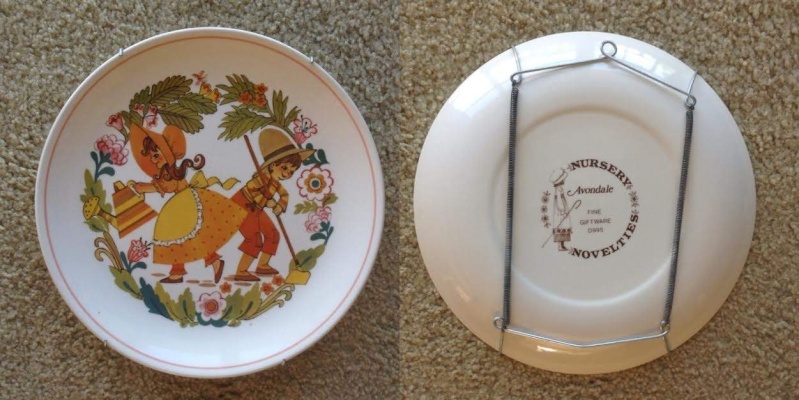 Kat, I think Jim's Paris plate was a B&B, or at least certainly not a full size plate: what do you remember it being? This must be a new photo of yours: the other one is 90 degrees to it. You quoted an ambiguous piece of my writing. What I meant to ask is are they able to be identified! ie do pattern names and numbers even exist for the patterns on Ambrico plates? We have at least one now as Cameo (the clover/shamrock pattern) has been identified but only because the pattern was continued in later wares. The two Ambrico patterns are very similar, but different so may be from a series, like the Posy pattern is. They both look familiar to me, but after endless searching I can't find them so I will add them to the No Names Gallery. Door Handles and Wall panel thingees have this pattern - maybe called "Knutsford" ? ?